Don Falk is Professor in the University of Arizona School of Natural Resources and the Environment, with joint appointments in the Laboratory of Tree-Ring Research and the Institute of the Environment. He holds degrees from Oberlin College, Tufts University, and the University of Arizona, where he received his PhD in 2004. Don’s research focuses on fire history, fire ecology, and ecological restoration and resilience in a changing world. Falk has been a AAAS Fellow since 1991, and has received the Fulbright Short-Term Scholar award, the Ecological Society of America’s Deevey Award for outstanding graduate work in paleoecology, the William McGinnies Fellowship, Pinchot Institute Conservation Scholarship, and a National Science Foundation Doctoral Dissertation Improvement Grant. In 2008 he and collaborators (C. Miller, D. McKenzie, & A. Black) were chosen for “Outstanding Paper in Landscape Ecology” by the International Association for Landscape Ecology – US. In 2012 he was selected by his peers in the School of Natural Resources and the Environment for Outstanding Scholarly Achievement, and in 2013 his course “Introduction to Wildland Fire” was chosen by the students of the School as Outstanding Course. In 2014-15 he was awarded the Udall Faculty Fellowship in Public Policy for studies in post-fire ecological resilience. In 2015 Don served as a University of Arizona Delegate to the Paris global climate summit. Don Falk was co-founder and Executive Director of the Center for Plant Conservation at the Arnold Arboretum of Harvard University, now at San Diego Zoo Global. He served subsequently as the first Executive Director of the Society for Ecological Restoration International (SER), of which he was a founding Board member. Falk is the author of more than more than 100 publications and has co-edited five books, including Genetics and Conservation of Rare Plants (1991, Oxford University Press, with Kent Holsinger,), Restoring Diversity: Strategies for Reintroduction of Endangered Plants (1996, Island Press, with Connie Millar and Peggy Olwell), Foundations of Restoration Ecology (2006, Island Press, with Margaret Palmer and Joy Zedler; Second Edition 2016), and The Landscape Ecology of Fire (2011, Springer, with Don McKenzie and Carol Miller). He is a member of the Editorial Board for the SER-Island Press series, Science and Practice of Restoration Ecology, the Executive Board of the Southwest Fire Science Consortium, and is science lead for the FireScape initiative in the Arizona Sky Islands. He serves as Chair of the Global Change Ecology and Management degree option in the UA School of Natural Resources and the Environment. Palmer, M. A., Zedler, J., & Falk, D. A. (2016). Foundations of Restoration Ecology, 2d Edition . Island Press and Society for Ecological Restoration. As the practical application of ecological restoration continues to grow, there is an increasing need to connect restoration practice to areas of underlying ecological theory. Foundations of Restoration Ecology is an important milestone in the field, bringing together leading ecologists to bridge the gap between theory and practice by translating elements of ecological theory and current research themes into a scientific framework for the field of restoration ecology.Each chapter addresses a particular area of ecological theory, covering traditional levels of biological hierarchy (such as population genetics, demography, community ecology) as well as topics of central relevance to the challenges of restoration ecology (such as species interactions, fine-scale heterogeneity, successional trajectories, invasive species ecology, ecophysiology). Several chapters focus on research tools (research design, statistical analysis, modeling), or place restoration ecology research in a larger context (large-scale ecological phenomena, macroecology, climate change and paleoecology, evolutionary ecology).Foundations of Restoration Ecology is one of the leading books in the field and is used in classroom teaching around the US and abroad. Friggens, M. M., Bagne, K. E., Finch, D. M., Falk, D. A., Triepke, J., & Lynch, A. M. (2013). Review and recommendations for climate change vulnerability assessment approaches with examples from the outhwest. Gen. Tech. Rep. RMRS-GTR-309. . Fort Collins, CO: U.S. Department of Agriculture, Forest Service, Rocky Mountain Research Station. Abstract: Climate change creates new challenges for resource managers and decision-makers with broad and often complex effects that make it difficult to accurately predict and design management actions to minimize undesirable impacts. We review pertinent information regarding methods and approaches used to conduct climate change vulnerability assessments to reveal assumptions and appropriate application of results. Secondly, we provide managers with an updated summary of knowledge regarding vulnerability of species and habitats to climate change in the American Southwest. Overall, vulnerability assessments provided valuable information on climate change effects and possible management actions but were far from a comprehensive picture for the future of the Southwest. Scales, targets, and assessment approaches varied widely and focused on only a subset of resources. We recommend land managers critically examine methods when using assessment results; select scale, methods, and targets carefully when planning new assessments; and communicate assessment needs to researchers of climate change response. McKenzie, D., Miller, C., & Falk, D. A. (2011). The Landscape Ecology of Fire . Springer. Synthesis volume of current research in landscape analysis of wildland fire. Falk, D. A., Palmer, M. A., & Zedler, J. B. (2006). Foundations of Restoration Ecology . Island Press, Washington, DC..
Falk, D. A., Millar, C. I., & Olwell, M. (1996). Restoring Diversity: Strategies for Reintroduction of Endangered Plants . Washington, DC: Island Press. Falk, D. A., & Holsinger, K. E. (1991). Genetics and Conservation of Rare Plants . New York: Ocford University Press. Falk, D. A., & Millar, C. I. (2016). The Influence of Climate Variability and Change on the Science and Practice of Restoration Ecology. In Foundations of Restoration Ecology, Second Edition . Washington, DC: Island Press. Palmer, M., Zedler, J. B., & Falk, D. A. (2016). Ecological Theory and Restoration Ecology. In Foundations of Restoration Ecology, Second Edition . Washington, DC: Island Press. Richards, C., Falk, D. A., & Montalvo, A. (2016). Population and Ecological Genetics in Restoration Ecology. In Foundations of Restoration Ecology, Second Edition . Washington, DC: Island Press. Anhold, J., Mitchell, B., Wilcox, C., Mellin, T., Merrick, M., Lynch, A. M., Walterman, M., Falk, D. A., Koprowski, J. L., Laes, D., Evans, D., & Fisk, H. (2015). Using LiDAR to Evaluate Forest Landscape and Health Factors and Their Relationship to Habitat of the Endangered Mount Graham Red Squirrel on the Coronado National Forest, Pinaleño Mountains, Arizona. In KM Potter and B Conkling, Eds., Forest Health Monitoring: National Status, Trends, and Analysis 2014, Gen. Tech. Rep. SRS-209 (pp 133-142). Asheville, NC: U.S. Department of Agriculture Forest Service, Southern Research Station. Maschinski, J., Falk, D., Wright, S., Possley, J., Roncal1, J., & Wendelberger, K. (2011). Optimal locations for plant reintroductions in a changing world. In Plant Reintroduction in a Changing Climate . Washington, DC: Island Press. McKenzie, D., Miller, C., & Falk, D. A. (2011). Synthesis: Landscape Ecology and Changing Fire Regimes. In The Landscape Ecology of Fire (pp 295-303). Ecological Studies Series No. 213: Springer, Dordrecht, Netherlands. McKenzie, D., Miller, C., & Falk, D. a. (2011). Toward a theory of landscape fire. In The landscape ecology of fire (pp 3-26). Ecological Studies Series No. 213: Springer, Dordrecht, Netherlands. In McKenzie, D., C. Miller, and D. A. Falk (Eds. ); Ecological Studies Series, Springer-Verlag. Swetnam, T. L., Falk, D. A., Hessl, A., & Farris, C. A. (2011). Reconstructing spatial pattern in landscape scale historical fires and fire regimes. In The landscape ecology of fire (pp 165-192). Dordrecht, Netherlands: Springer. In McKenzie, D., C. Miller, and D. A. Falk (Eds.). . Ecological Studies Series, Springer-Verlag. Falk, D. A., Palmer, M. A., & Zedler, J. B. (2006). Integrating restoration ecology and ecological theory: A synthesis. In Foundations of Restoration Ecology. (pp 341-346). Island Press, Washington, DC. Falk, D. A., Richards, C. M., Montalvo, A. M., & Knapp, E. E. (2006). Population and ecological genetics in restoration ecology. In Foundations of Restoration Ecology. (pp 14-41). Washington, DC: Island Press. Palmer, M. A., Falk, D. A., & Zedler, J. B. (2006). Ecological theory and restoration ecology. In Foundations of Restoration Ecology (pp 1-10). Washington, DC. : Island Press. Maunder, M., Havens, K., Guerrant, E. o., & Falk, D. A. (2004). Ex situ methods: A vital but underused set of conservation resources. In Ex situ plant conservation: Supporting species survival in the wild (pp 3-20). Washington, DC: Island Press. Maunder, M., K. Havens, E. O. Guerrant, and DA Falk. Falk, D. A. (1995). Restoration priorities on the landscape scale. In The role of restoration in ecological management. Peterson, D. and C. Klimas (Eds.) . Society for Ecological Restoration/Parks Canada. Falk, D. A. (1992). From Conservation Biology to Conservation Practice: Strategies for Protecting Plant Diversity. In Conservation Biology (pp 397-425). New York: Chapman & Hall. Falk, D. A. (1991). JOINING BIOLOGICAL AND ECONOMIC-MODELS FOR CONSERVING PLANT GENETIC DIVERSITY. In GENETICS AND CONSERVATION OF RARE PLANTS (pp 209-223). New York: Oxford University Press. FALK, D. A. (1990). A Restorative Strategy for Endangered Species.. In J. Berger (ed. ), Environmental Restoration: Science of Strategies for Restoring the Earth (pp 328-334). University of California, Berkeley. : Island Press. Conver, J. L., Falk, D. A., Yool, S. R., & Parmenter, R. R. (2018). Modeling fire pathways in montane grassland-forest ecotones. Fire Ecology , 14(1), 17--32. Falk, D. A., & Cortés-Montaño, C. (2018). Climate change, forests, and fire in the southwestern US and northern Mexico. Sonorensis , 38(1), 16-20. Gann, G. D., McDonald, T., Aronson, J., Dixon, K. W., Walder, B., Hallett, J. G., Decleer, K., Falk, D. A., Gonzales, E. K., Murcia, C., & others, . (2018). The SER Standards: a globally relevant and inclusive tool for improving restoration practicea reply to Higgs et al.. Restoration Ecology , 26(3), 426--430. Guiterman, C. H., Margolis, E. Q., Allen, C. D., Falk, D. A., & Swetnam, T. W. (2018). Long-term persistence and fire resilience of oak shrubfields in dry conifer forests of northern New Mexico. Ecosystems , 21(5), 943--959. Hanna, D. P., Falk, D. A., Swetnam, T. W., & Romme, W. (2018). Age-related climate sensitivity in Pinus Edulis at Dinosaur National Monument, Colorado, USA. Dendrochronologia , 52, 40--47. Harley, G. L., Baisan, C. H., Brown, P. M., Falk, D. A., Flatley, W. T., Grissino-Mayer, H. D., Hessl, A., Heyerdahl, E. K., Kaye, M. W., Lafon, C. W., & others, . (2018). Advancing dendrochronological studies of fire in the United States. Fire , 1(1), 11. Heyerdahl, E. K., Loehman, R. A., & Falk, D. A. (2018). A multi-century history of fire regimes along a transect of mixed-conifer forests in central Oregon, USA. Canadian Journal of Forest Research , 49(1), 76--86. Keane, R. E., Loehman, R. A., Holsinger, L. M., Falk, D. A., Higuera, P., Hood, S. M., & Hessburg, P. F. (2018). Use of landscape simulation modeling to quantify resilience for ecological applications. Ecosphere , 9(9), e02414. Mantgem, P. J., Falk, D. A., Williams, E. C., Das, A. J., & Stephenson, N. L. (2018). Pre-fire drought and competition mediate post-fire conifer mortality in western US National Parks. Ecological applications , 28(7), 1730--1739. Marshall, L. A., Falk, D. A., & McDowell, N. G. (2018). Nitrogen can limit overstory tree growth following extreme stand density increase in a ponderosa pine forest. Tree-Ring Research . Newman, E. A., Wilber, M. Q., Kopper, K. E., Moritz, M. A., Falk, D. A., McKenzie, D., & Harte, J. (2018). Disturbance macroecology: integrating disturbance ecology and macroecology in different-age post-fire stands of a closed-cone pine forest as a case study. bioRxiv , 309419. Guiterman CH, EQ Margolis, CD Allen, DA Falk, and TW Swetnam. Ecosystems. In review. Ketcham, S. L., Koprowski, J. L., & Falk, D. A. (2017). Differential Response of Native Arizona Gray Squirrels and Introduced Abert's Squirrels to a Mosaic of Burn Severities in the Santa Catalina Mountains. Mammal Study , 42, 247-258. Falk, D. A. (2016). The resilience dilemma: Incorporating global change into ecosystem policy and management. Arizona Law Journal. , 48(1), 145-156. Falk, D. A., Van Leeuwen, W. J., & McEwen, A. S. (2016). Low-cost high-resolution global pyrogenic thermal sensing: Critical information for biosphere-atmosphere interactions. Decadal Survey for Earth Science and Applications from Space, National Academy of Science , ESAS 2017. Swetnam, T. L., & Falk, D. A. (2015). Carbon Cycling in Southwestern Forests: Reservoirs, Fluxes, and the Effects of Fire and Management. Ecological Restoration Institute and Southwest Fire Science Consortium, Northern Arizona University, Flagstaff, AZ. ERI Working Paper , 1-15. Background and Aims Fire scars have been widely used as proxies for the reconstruction of fire history; however, little is known about the impact of fire injury on wood anatomy. This study investigates changes in tracheid and ray traits in fire scars of Douglas fir (Pseudotsuga menziesii), western larch (Larix occidentalis) and ponderosa pine (Pinus ponderosa), and discusses their ecophysiological implications for tree recovery from fire. Background and Aims Resin ducts (RDs) are features present in most conifer species as defence structures against pests and pathogens; however, little is known about RD expression in trees following fire injury. This study investigates changes in RD size and density in fire scars of Douglas fir (Pseudotsuga menziesii) and western larch (Larix occidentalis) as a means to evaluate the ecophysiological significance of traumatic resinosis for tree defence and survival. Heyerdahl, E. K., Loehman, R. A., & Falk, D. A. (2014). Lodgepole pine-dominated forest in central Oregon's Pumice Plateau: Historical mixed-severity fires are resistant to future climate change.. Canadian Journal of Forest Research , 44, 593–603. In the face of rapid environment and cultural change, orthodox concepts in restoration ecology such as historical fidelity are being challenged. Here we re-examine the diverse roles played by historical knowledge in restoration, and argue that these roles remain vitally important. As such, historical knowledge will be critical in shaping restoration ecology in the future. Perhaps the most crucial role in shifting from the present version of restoration ecology ("v1.0") to a newer formulation ("v2.0") is the value of historical knowledge in guiding scientific interpretation, recognizing key ecological legacies, and influencing the choices available to practitioners of ecosystem intervention under conditions of open-ended and rapid change. Swetnam, T. L., & Falk, D. A. (2014). Application of Metabolic Scaling Theory to reduce error in local maxima tree segmentation from aerial LiDAR. Forest Ecology and Management , 323, 158–167. Abstract: Identifying individual trees across large forested landscapes is an important benefit of an aerial LiDAR collection. However, current approaches toward individual tree segmentation of aerial LiDAR data do not always reflect how the allometry of tree canopies change with height, age, or competition for limiting space and resources. We developed a variable-area local maxima (VLM) algorithm that incorporates predictions of the Metabolic Scaling Theory (MST) to reduce the frequency of commission error in a local maxima individual tree inventory derived from aerial LiDAR. By comparing the MST prediction to 663 species of North American champion-sized trees (which include the tallest and the largest trees on the planet), and 610 measured trees in semi-arid conifer forests in Arizona and New Mexico we show the MST canopy radius model rcan = βhα where β is the normalization constant, h is height, and α is a dynamic exponent predicted by MST to be α = 1, can be applied as a general model in many water-limited conifer forests. MST also informs the estimate of individual tree bole diameter dbole (which aerial LiDAR does not measure directly) based on two primary size measures easily obtained from the aerial LiDAR: height h and canopy diameter dcan . A two parameter model βh√ dcan is shown to better predict bole diameter (r 2 = 0.811, RMSE = 7.66 cm) than a single parameter model of either canopy diameter or height alone: β dcanα (r 2 = 0.51 RMSE = 12. 4 cm) or β hα (r 2 = 0.753, RMSE = 8.94 cm). By improving methods to identify individual trees and more accurately predict bole diameter, estimates of total forest stand density, structural diversity, above ground biomass and carbon over large landscapes will likewise be improved. © 2014 Elsevier B.V. All rights reserved. Swetnam, T. L., Falk, D. A., Lynch, A. M., & Yool, S. R. (2014). Estimating individual tree mid- and understory rank-size distributions from airborne laser scanning in semi-arid forests.. Forest Ecology and Management , tbd(tbd), tbd. Falk, D. A. (2013). Fire: Lessons of the Past. Sonorensis , 24-25. Fulé, P. Z., Swetnam, T. W., Brown, P. M., Falk, D. A., Peterson, D. L., Allen, C. D., Aplet, G. H., Battaglia, M. A., Binkley, D., Farris, C., Keane, R. E., Margolis, E. Q., Grissino-Mayer, H., Miller, C., Sieg, C. H., Skinner, C., Stephens, S. L., & Taylor, A. (2013). Unsupported inferences of high-severity fire in historical dry forests of the western United States: Response to Williams and Baker. Global Ecology and Biogeography , 23(7), 825-830. Reconstructions of dry western US forests in the late 19th century in Arizona, Colorado and Oregon based on General Land Office records were used by Williams & Baker (2012; Global Ecology and Biogeography, 21, 1042-1052; hereafter W&B) to infer past fire regimes with substantial moderate and high-severity burning. The authors concluded that present-day large, high-severity fires are not distinguishable from historical patterns. We present evidence of important errors in their study. First, the use of tree size distributions to reconstruct past fire severity and extent is not supported by empirical age-size relationships nor by studies that directly quantified disturbance history in these forests. Second, the fire severity classification of W&B is qualitatively different from most modern classification schemes, and is based on different types of data, leading to an inappropriate comparison. Third, we note that while W&B asserted surprising' heterogeneity in their reconstructions of stand density and species composition, their data are not substantially different from many previous studies which reached very different conclusions about subsequent forest and fire behaviour changes. Contrary to the conclusions of W&B, the preponderance of scientific evidence indicates that conservation of dry forest ecosystems in the western United States and their ecological, social and economic value is not consistent with a present-day disturbance regime of large, high-severity fires, especially under changing climate. Cortés Montaño, C., Fulé, P. Z., Falk, D. A., Villanueva-Díaz, J., & Yocom, L. L. (2012). Linking old-growth forest composition and structure to fire history, climate and land-use in a mountain range of northwestern Mexico. EcoSphere , 3(11). Fulé, P. Z., Yocom, L. L., Cortés Montaño, C., Falk, D. A., Cerano, J., & Villanueva-Díaz, J. (2012). Testing a pyroclimatic hypothesis on the Mexico-U.S. border. Ecology , 93(8), 1830-1840. The "pyroclimatic hypothesis'' proposed by F. Biondi and colleagues provides a basis for testable expectations about climatic and other controls of fire regimes. This hypothesis asserts an a priori relationship between the occurrence of widespread fire and values of a relevant climatic index. Such a hypothesis provides the basis for predicting spatial and temporal patterns of fire occurrence based on climatic control. Forests near the Mexico-United States border offer a place to test the relative influence of climatic and other controls in mountain ranges that are ecologically similar and subject to broadly similar top-down climatic influence, but with differing cultural influences. We tested the pyroclimatic hypothesis by comparing fire history information from the Mesa de las Guacamayas, a mountain range in northwestern Chihuahua, with previously published fire data from the Chiricahua Mountains, in southeastern Arizona, approximately 150 km away. We developed a priori hypothetical models of fire occurrence and compared their performance to empirical climate-based models. Fires were frequent at all Mesa de las Guacamayas study sites through the mid-20th century and continued uninterrupted to the present at one site, in contrast to nearly complete fire exclusion after 1892 at sites in the Chiricahua Mountains. The empirical regression models explained a higher proportion of the variability in fire regime associated with climate than did the a priori models. Actual climate-fire relationships diverged in each country after 1892. The a priori models predicted continuing fires at the same rate per century as prior to 1892; fires did in fact continue in Mexico, albeit with some alteration of fire regimes, but ceased in the United States, most likely due to changes in land use. The cross-border comparison confirms that a frequent-fire regime could cease without a climatic cause, supporting previous arguments that bottom-up factors such as livestock grazing can rapidly and drastically alter surface fire regimes. Understanding the historical patterns of climate controls on fire could inform the use of historical data as ecological reference conditions and for future sustainability. Falk, D. A., Heyerdahl, E. K., Brown, P. M., Farris, C. A., McKenzie, D., Swetnam, T. W., Taylor, A. H., & Van Horne, M. L. (2011). Multiscale controls of historical fire regimes: New insights from fire-scar networks. Frontiers in Ecology and the Environment , 9(8), 446-454. OConnor, C., Swetnam, T., Garfin, G., & Falk, D. (2011). Human Pyrogeography. Geography Compass , 5(6), 329-350. Falk, D. A., Heyerdahl, E. K., Brown, P. M., Swetnam, T. W., Sutherland, E. K., Gedalof, Z., Yocom, L., & Brown, T. J. (2010). Fire and climate variation in western North America from fire scar networks.. Past Global Climates , 18(2), 70-72. Lenart, M. T., Falk, D. A., Scatena, F. N., & Osterkamp, W. R. (2010). Estimating soil turnover rate from tree uprooting during hurricanes in Puerto Rico. Forest Ecology and Management , 259(6), 1076-1084. Abstract: Soil turnover by tree uprooting in primary and secondary forests on the island of Puerto Rico was measured in 42 study plots in the months immediately after the passage of a Category 3 hurricane. Trunk basal area explained 61% of the variability of mound volume and 53% of the variability of mound area. The proportion of uprooted trees, the number of uprooted trees, or the proportion of uprooted basal area explained 84-85% of the variation in hurricane-created mound area. These same variables explain 79-85% of the variation in mound volume. The study indicates that the soil turnover period from tree uprooting by Puerto Rican hurricanes is between 1600 and 4800 years. These rates are faster than soil turnover by landslides and background treefall in the same area and provide a useful age constraint on soil profile development and soil carbon sequestration in these dynamic landscapes. © 2009 Elsevier B.V.
Yocom, L. L., Fulé, P. Z., Brown, P. M., Cerano, J., Villanueva-Diaz, J., Falk, D. A., & Cornejo-Oviedo, E. (2010). El Niño-Southern Oscillation effect on a fire regime in northeastern Mexico has changed over time. Ecology , 91(6), 1660-1671. PMID: 20583708;Abstract: The El Niño Southern Oscillation (ENSO) is a climate-forcing mechanism that has been shown to affect precipitation and the occurrence of wildfires in many parts of the world. In the southern United States and northern Mexico, warm events (El Niño) are associated with moist winter conditions and fewer fires, while cool events (La Niña) tend to favor dry winters and more fires. We tested this relationship in a region of northeastern Mexico by characterizing the historical fire regime and climatic influences. Fire regimes were reconstructed from fire-scar samples collected from 100 trees in three high-elevation sites on Peña Nevada in southern Nuevo León. The sites were ∼25 ha each, and the site centers were ∼1 km apart. The earliest recorded fire occurred in 1521 and the time period we used for analysis was 1645-1929. The sites were characterized by frequent surface fires before the 1920s. In the three sites, mean fire intervals ranged from 8.6 to 9.6 years (all fires) and 11.9 to 18.6 years (fires that scarred ≥25% of recording trees). The per-tree mean fire return interval was 17 years, and all three sites burned in the same year seven times between 1774 and 1929. After 1929, fires were nearly eliminated in all sites, likely due to human causes. We found a temporal change in the association between ENSO events and fires; before the 1830s La Niña events were significantly associated with fire years, while after the 1830s this association was not significant. In 1998, when the most severe El Niño event of the past century occurred, the three sites experienced severe, stand-replacing fires that killed many trees that had survived multiple surface fires in the past. Prior to the 1830s, fires tended to occur during dry La Niña years, but since then both La Niña and El Niño have been associated with dry years in this region, especially during the last three decades. This result suggests that ENSO effects have changed over time in this location and that phases of ENSO are not consistent indicators of precipitation, fire occurrence, or fire behavior in this area of northeastern Mexico. © 2010 by the Ecological Society of America. Stevens, J., & Falk, D. A. (2009). Can Buffelgrass invasions be controlled in the American Southwest? Using invasion ecology theory to understand Buffelgrass success and develop comprehensive restoration and management. Ecological Restoration , 27(4), 417-427. Abstract: Since being introduced for rangeland improvements in the early to mid-20th century, several non-native grass species have spread beyond their initial planting sites in the American Southwest. Many of these species, especially those that have infltrated desert ecosystems, can alter ?fre regimes, which in turn threatens native plant species. In Arizona desert ecosystems, buffelgrass (Pennisetum ciliare) increases ?fre frequency and intensity, which may create a positive feedback loop, resulting in a shift from native ?fre-sensitive plant communities to non-native grasslands. Although control efforts are currently underway, a more comprehensive ecosystem approach will be required to treat buffelgrass invasions in southeastern Arizona's deserts. Here, we evaluate the species and environmental factors that may contribute to plant invasion success. We highlight empirical buffelgrass literature as it pertains to invasion, integrate basic invasion ecology theory and restoration ecology to examine potential practical approaches for controlling buffelgrass invasions in southeastern Arizona, and use this information to provide the basis for comprehensive restoration and management. We also briefy discuss public policy related to buffelgrass control in the southwestern United States. Falk, D. A., Miller, C., McKenzie, D., & Black, A. E. (2007). Cross-scale analysis of fire regimes. Ecosystems , 10(5), 809-823. Abstract: Cross-scale spatial and temporal perspectives are important for studying contagious landscape disturbances such as fire, which are controlled by myriad processes operating at different scales. We examine fire regimes in forests of western North America, focusing on how observed patterns of fire frequency change across spatial scales. To quantify changes in fire frequency across spatial scale, we derive the event-area (EA) relationship and the analogous interval-area (IA) relationship using historical and simulated data from low- and high-severity fire regimes. The EA and IA provide multi-scale descriptions of fire regimes, as opposed to standard metrics that may apply only at a single scale. Parameters and properties of scaling functions (intercept, slope, minimum value) are associated statistically with properties of the fire regime, such as mean fire-free intervals and fire size distributions, but are not direct mathematical transformations of them because they also reflect mechanistic drivers of fire that are non-stationary in time and space. Patterns in fire-scaling relations can be used to identify how controls on fire regimes change across spatial and temporal scales. Future research that considers fire as a cross-scale process will be directly applicable to landscape-scale fire management. Zedler, J. B., Falk, D. A., & Larkin, D. J. (2007). Upstart views of restoration icons.. Bulletin of the Ecological Society of America , 88(1), 104-112. Falk, D. A. (2006). Process-centred restoration in a fire-adapted ponderosa pine forest. Journal for Nature Conservation , 14(3-4), 140-151. Abstract: Accurate and ecologically meaningful characterisation of reference conditions is a fundamental premise of restoration ecology. Restoration practice and research commonly define reference conditions in terms of compositional and structural elements. We propose a "process-centred" framework that places central emphasis on ecological functions and ecosystem processes. A wide variety of processes is central to the functioning and dynamics of ecological systems, and can be placed at the foundation of restoration research and practice. A process-centred approach allows the definition of "reference dynamics", where spatial and temporal variability and underlying mechanisms of change are primary. We illustrate this approach using a 303-yr reconstruction of the natural surface fire regime to guide restoration of a Pinus ponderosa forest in the Jemez Mountains of southwestern North America. Fire occurrence varied over space and time during the period of record, with ecologically significant variation in fire intervals (yr fire-1) governed by process-structure interactions. We defined a variety of reference variables for reintroduction of fire as the keystone ecological process, along with related structural variation. A process-centered approach and the reference dynamics paradigm can replace a more static concept of reference conditions in defining restoration baselines and provide an improved standard of comparison for restoration ecology. © 2006 Elsevier GmbH. All rights reserved. Sisk, T. D., Savage, M., Falk, D. A., Allen, C. D., Muldavin, E., & McCarthy, P. (2005). A landscape perspective for forest restoration. Journal of Forestry , 103(6), 319-320. Falk, D. A., Knapp, E. E., & Guerrant, E. O. (2001). An introduction to restoration genetics. 2001. Society for Ecological Restoration, Science & Policy Paper . Thomas, S. C., Halpern, C. B., Falk, D. A., Liguori, D. A., & Austin, K. A. (1999). Plant diversity in managed forests: Understory responses to thinning and fertilization. Ecological Applications , 9(3), 864-879. Abstract: Although most temperate forests are actively managed for timber production, few data exist regarding the long-term effects of forest management on understory plant communities. We investigated the responses of understory communities to a factorial combination of silvicultural-thinning and nutrient-addition treatments maintained for 12-16 yr in a set of 21-27 yr old Douglas-fir (Pseudotsuga menziesii) plantations. The four thinning levels span those used operationally (final stem densities of 494-1680 trees/ha); the two fertilization levels included a control and N addition in the form of urea at ~60 kg N·ha-1·yr-1, about twice the dosage used operationally. Understory vegetation cover showed significant effects of thinning, with the highest thinning level resulting in the highest observed cover values. However, in some cases low levels of thinning resulted in a reduction in understory cover compared to unthinned controls. Understory vegetation declined dramatically in response to urea fertilization, with up to a 10-fold drop in herb-layer cover in unthinned stands. Species richness showed a simpler response to treatments, increasing in response to thinning, but decreasing in response to fertilization. Examination of species-area relationships indicated that effects of thinning and fertilization on species richness were similar across the range of spatial scales examined. Tree canopy cover, assessed by means of hemispherical photograph analysis, increased with fertilization, and estimated understory light levels decreased with fertilization, but neither showed a significant response to thinning at the time of measurement (12-16 yr after tree removal). Thus, treatment effects on understory cover and species richness were not a simple function of canopy cover or estimated light availability. Rather, there was a weak positive relationship between estimated understory light flux and vascular plant cover and diversity in nonfertilized plots, and no such relationship in fertilized plots. The lack of correspondence between treatment effects on canopy cover and understory vegetation may be due to time lags in understory response to changes in canopy cover or to treatment effects not mediated by light availability, such as physical disturbance during thinning operations and toxicity responses following application of urea fertilizer. Species-specific responses to treatments were in part predictable as a function of plant life-form and edaphic association: species affinity for high soil moisture was the best predictor of fertilization responses, while life-form was the best predictor of thinning responses, with ferns and graminoids showing the largest positive responses to thinning. The successional status and stature of understory plant species were not significantly related to treatment responses. In sum, our results indicate that silvicultural thinning and fertilization can have large effects on understory plant diversity and community composition. However, such effects were not a simple function of understory light levels, and conventional 'functional types' were of only limited value in predicting species-specific responses to silvicultural treatments. Allen, E. B., Covington, W. W., & Falk, D. A. (1997). Developing the conceptual basis for restoration ecology. Restoration Ecology , 5(4), 275-276. Falk, D. A., & Olwell, M. (1992). SCIENTIFIC AND POLICY CONSIDERATIONS IN RESTORATION AND REINTRODUCTION OF ENDANGERED SPECIES. Rhodora , 94(879), 287-315. Falk, D. A. (1990). Conserving the native diversity of the U.S.. Conservation Digest , 2(5), 10. Falk, D. A. (1990). Discovering the Future, Creating the Past: Some Reflections on Restoration. Restoration & Management Notes , 8(2), 71-72. Falk, D. A. (1990). Endangered forest resources in the U.S.: Integrated strategies for conservation of rare species and genetic diversity. Forest Ecology and Management , 35(1-2), 91-107. Abstract: A substantial number of woody taxa are presently at risk of extinction, representing a potential loss of forest genetic resources as well as contributing to reduction of overall biological diversity. Endangered taxa are found in a large number of genera and families, including many of importance in forest industries, horticulture, and crop production. Many of these endangered taxa are endemic to a single state and face severe threats to their continued survival. Rare and endangered species of plants often represent special problems for conservation, reflecting characteristic differences from common plants in their biology, patterns of threat, and resources available for conservation. Moreover, rare plants are as a group poorly represented in the scientific literature, making formulation of biologically sound conservation strategies difficult. An emerging trend in biological-diversity programs is toward integrated conservation strategies, which are grounded on three precepts. First, conservation methods can be applied to different levels of biological hierarchy. Second, conservation strategies should be tailored to the particular threat faced by the subject concerned. And finally, available resources must be assessed and combined to provide the highest possible degree of protection. A mix of conservation actions should be designed and executed to fit the biology and threat of a given situation, in order to achieve the maximum protective value. Such integrated strategies are inherently multidisciplinary, and are best carried out by collaboration among several agencies. Integrated conservation strategies render obsolete the dichotomy between in-situ and ex-situ conservation, by joining them in a more powerful, unified approach. Falk, D. A. (1990). Integrated Strategies for Conserving Plant Genetic Diversity. Annals of the Missouri Botanical Garden , 77(1), 38-47. McMahan, L. R., & Falk, D. A. (1989). The Center for Plant Conservation: Collaborating with the National Plant Germplasm System to Save Seeds for the Future. Diversity , 5, 43. Falk, D. A. (2013, May). Are Madrean ecosystems approaching tipping points? Anticipating interactions of landscape disturbance and climate change.. In In Gottfried GJ, Ffolliott PF, Gebow BS, Eskew LG, and Collins LC: Merging science and management in a rapidly changing world: Biodiversity and management of the Madrean Archipelago III. , RMRS P-67. Gebow, B., Laing, L., Falk, D. A., & Malusa, J. R. (2012, May). Mapping Ecological Systems in Southeastern Arizona. In Biodiversity and management of the Madrean Archipelago III , USDA Forest Service Proceedings RMRS-P-67. 2013, 1-7. Gebow, B., Stetson, C., Falk, D. A., & Dolan, C. (2013, May). FireScape: A Program for Whole-Mountain Fire Management in the Sky Island Region.. In In Gottfried GJ, Ffolliott PF, Gebow BS, Eskew LG, and Collins LC, Merging science and management in a rapidly changing world: Biodiversity and management of the Madrean Archipelago III. , RMRS P-67. Malusa, J., Laing, L., Falk, D. A., & Gebow, B. (2013, May). Mapping Ecological Systems from the Ground Up in Southeastern Arizona.. In In Gottfried GJ, Ffolliott PF, Gebow BS, Eskew LG, and Collins LC: Merging science and management in a rapidly changing world: Biodiversity and management of the Madrean Archipelago III. , RMRS P-67. Falk, D. A., & Swetnam, T. W. (2003, Spring). Scaling rules and probability models for surface fire regimes in ponderosa pine forests. In FIRE, FUEL TREATMENTS, AND ECOLOGICAL RESTORATION: CONFERENCE PROCEEDINGS , General Technical Report RMRS-P-29, 301-317. Statistical descriptors of the fire regime in ponderosa pine forests of the Jemez Mountains, New Mexico, are spatially scale-dependent. Thus, quantification of fire regimes must be undertaken in a spatially explicit framework. We apply a variety of analytical tests adapted from species-area relationships to demonstrate an analytical framework for understanding scaling of disturbance regimes. A new spatio-temporal scaling index, the slope of the event-area function, can provide a useful measure of the synchrony of events within watersheds (where fire spread regulates the distribution of events) as well as among mountain ranges. We propose two alternative mathematical models of fire interval distributions based on inherent properties of the fire record and the ecology of frequent-fire disturbance regimes; a discrete probability model, and a probabilistic application of the lognormal distribution. Because they involve distribution of energy and matter, these spatial and temporal scaling rules indicate more general disturbance event-area relationships that can facilitate the analysis of disturbance regimes in a broader ecological framework. FALK, D. A. (1990, Fall). THE THEORY OF INTEGRATED CONSERVATION STRATEGIES FOR BIOLOGICAL DIVERSITY. In ECOSYSTEM MANAGEMENT : RARE SPECIES AND SIGNIFICANT HABITS , State University Press of New York. New York State Museum Bulletin No. 471., 5-10. Falk, D. A. (2018, April). “Discovering the future, creating the past: legal and scientific dynamics of restoring ecosystems.” . Environmental Law Society. University of Arizona Rogers School of Law: Environmental Law Society. Falk, D. A. (2018, April). “Disturbance, resilience, and (maybe) evolution.” . SNRE Departmental Seminar. Environment and Natural Resources Building 2: School of Natural Resources and Environment, University of Arizona. Falk, D. A. (2018, February). "Restoring and sustaining forests in an era of big fires and climate change." . Members' Meeting. Tucson, AZ: Arizona Native Plant Society. Falk, D. A. (2018, February). "Wildfire, climate and ecosystems in a changing world.” Two lectures for public course on climate change and ecological effects. . Two lectures for public course on climate change and ecological effects.. Miami and Payson, AZ: Arizona Cooperative Extension, Gila County (C Jones, Extension Agent). Falk, D. A. (2018, March). “Climate change, wildland fire, and ecosystem disturbance.” . Ecodrought: Surviving Peak Drought and Warming workshop. 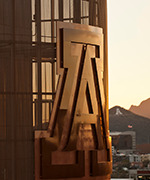 University of Arizona: National Science Foundation and Institute of the Environment. Falk, D. A. (2018, March). “Ecosystem resilience to changing fire regimes.” . Colloquium on Wildland Fire. Institute of the Environment: Climate Assessment for the Southwest (CLIMAS) and Southwest Climate Adaptation Science Center (SWCSC). Falk, D. A. (2018, May). “Forests and Fire in a Time of Change.” . CALS Spring Staff Luncheon. University of Arizona: College of Agriculture and Life Sciences. Falk, D. A. (2018, November). Translational Ecology panel . Translational Ecology panel workshop. University of Arizona: Center for Climate Adaptation Science and Solutions (CCASS). Marshall, L. A., & Falk, D. A. (2018, August). “Modeled climate-growth relations and changing tree species distribution in mixed conifer forest across a biophysical gradient.” . Ecological Society of America, Annual Meeting. New Orleans, LA: Ecological Society of America. McKenzie, D., Newman, E. A., Kennedy, M. C., Miller, C., & Falk, D. A. (2018, April). “What are the hard problems for landscape-model projections in a warming climate?” . US International Association for Landscape Ecology Annual Meeting. Chicago, IL: US International Association for Landscape Ecology. Smith, M., Stark, S., Taylor, T. C., Ferreira, M. L., de Oliveira, E., Falk, D. A., Restrepo-Coupe, N., Saleska, S. R., & et al., . (2018, October). “Multiple years of monthly ground-based profiling lidar data in the Amazon reveal seasonal and drought related changes in leaf area with surprising dependencies on height and light environment.” . ForestSAT 2018 remote sensing conference. Washington, DC: ForestSAT. Falk, D. A. (2016, November). Why is resilience ecology a social science? . TED Talk: climate adaptation. University of Arizona, Tucson: Institute of the Environment and Center for Climate Adaptation and Solutions (CCASS). Falk, D. A. (2017, April). Wildfires past, present, and future . US Congress, Science Briefing on Wildfire. Department of State, Washington, DC: National Centers for Atmospheric Research / University Centers for Atmospheric Research (NCAR/UCAR). Falk, D. A. (2017, December). How do we map restoration ecology onto a rapidly changing world? . Society for Ecological Restoration, Southwest Annual Meeting. Albuquerque, NM: Society for Ecological Restoration. Falk, D. A. (2017, Fall). From restoration to resilience ecology . Arizona Senior Academy Seminar Series.. Tucson, AZ: Arizona Senior Academy. Falk, D. A. (2017, June). Stressors generated by drought (fire, insects, and disease) . Workshop: Adapting to Drought in the Southwestern Region. US Forest Service, Region 3 and National Office of Sustainability and Climate Change.. Albuquerque, NM: US Forest Service, Region 3 and National Office of Sustainability and Climate Change..
Falk, D. A. (2017, March). Ecological links between drought and disturbance . USGS Climate Science Center working group on ecological drought. University of Arizona: USGS Climate Science Center. Falk, D. A. (2017, November). What do we know about ecological resilience (and how do we know it?)? . Seminar Series, Laboratory of Tree-Ring Research, University of Arizona. Tucson, AZ: Laboratory of Tree-Ring Research, University of Arizona. Falk, D. A., & van Mantgem, P. (2017, February). Impacts of disturbance and ecological interactions on climate response . USGS SW Climate Science Center Review Panel. University of Arizona: USGS Climate Science Center. Garfin, G. M., Falk, D. A., & Gornish, E. (2017, October). Wildfire and restoration policy for Arizona . Arizona Senate Briefing. Arizona State Capitol, Phoenix, AZ: Arizona State Legislature. Gornish, E., Falk, D. A., & Garfin, G. M. (2017, October). Vegetation management after fire in Arizona . Arizona State Legislative Offices. Guiterman, C. H., Margolis, E. Q., Woodhouse, C. A., Williams, A. P., Falk, D. A., & Swetnam, T. W. (2017, November). Variability in tree-growth response to climate across dry conifer forests of the Navajo Nation . Society of American Foresters Annual Meeting. Albuquerque, NM: Society of American Foresters. Arizpe, A., Falk, D. A., Swetnam, T., & Woodhouse, C. A. (2016, November). Widespread Fire Years in Conifer Forests are Contingent on Both Winter and Monsoon Precipitation in the US-Mexico Sky Islands . AFE Southwest Conference. Tucson, AZ: Association for Fire Ecology (AFE). Evans, M. E., Falk, D. A., Arizpe, A., Swetnam, T. L., Babst, F., & Holsinger, K. E. (2016, March). Combining tree-ring and forest inventory data to infer climatic niche: a hierarchical Bayesian approach. In Symposium: “Tree rings and dynamic vegetation models.” . Third American Dendrochronology Conference (AmeriDendro 2016). Mendoza, Argentina: Tree Ring Society. Evans, M. E., Falk, D. A., Arizpe, A., Swetnam, T. L., Babst, F., & Holsinger, K. E. (2016, October). Forecasting future tree growth from tree-ring data, and combining tree-ring and forest inventory data . Climate Ecology & Tree Growth Workshop. Petersham, Massachusetts: Harvard Forest, Harvard University. Falk, D. A. (2015, April). Panel moderator, “Evaluating long-term ecological consequences and management actions.” . Co-organizer, “Planning for the Next Big One: Managing the Postfire Environment in a Time of Change". Santa Fe, NM: The Nature Conservancy Burned Area Learning Network, and Southwest Fire Science Consortium. Falk, D. A. (2016, April). Disturbance, post-fire ecological resilience, and tipping points . Southwest Regional Fire and Fuels Workshop. Phoeniz, AZ: US Forest Service, Region III. Falk, D. A. (2016, November). Properties of fire regimes and fire history analysis . AFE Southwest Conference, Fire History Workshop. Tucson, AZ: Association for Fire Ecology (AFE). Falk, D. A. (2016, November). The ecology of forest resilience . Tree-Ring Day. University of Arizona, Tucson: Laboratory of Tree-Ring Research. Falk, D. A. (2016, October). Keynote Presentation: From restoration to resilience ecology . 63rd Annual Fall Symposium. St Louis, MO: Missouri Botanical Garden. Falk, D. A. (2016, October). Plenary Presentation: Resilience ecology, the dilemma of change, and the importance of experiments, modeling, and monitoring . NAA Annual Meeting: Reconciling Restoration with Environmental Change. Davis, CA: Natural Areas Association. Falk, D. A., Bigio, E. R., Swetnam, T., Hall, G., Sutherland, E. K., Kitzberger, T., Brown, P. M., & Velasquez, E. (2016, March). Historical pyrogeography of western North America 1600-1900 CE. . Third American Dendrochronology Conference (AmeriDendro 2016). Mendoza, Argentina: Tree Ring Society. Falk, D. A., Mckenzie, D., Swetnam, T. L., & Loveless, E. (2016, April). Ecosystems as energy fields . IALE Annual Meeting. Asheville, NC: International Association for Landscape Ecology. Falk, D. A., Mckenzie, D., Swetnam, T. L., & Loveless, E. (2016, November). Ecosystems as energy fields . AFE Southwest Conference. Tucson, AZ: Association for Fire Ecology (AFE). Guiterman, C. H., Margolis, E. Q., Allen, C. D., Falk, D. A., & Swetnam, T. W. (2016, November). Persistence and fire regimes of oak shrubfields suggest increasing dominance with climate change . AFE Southwest Conference. Tucson, AZ: Association for Fire Ecology (AFE). Guiterman, C. H., Margolis, E. Q., Baisan, C. H., Falk, D. A., Towner, R. D., & Swetnam, T. W. (2016, November). Navajo settlement, pastoralism, and the interruption of frequent fires in northeastern Arizona . AFE Southwest Conference. Tucson, AZ: Association for Fire Ecology (AFE). Kitzberger, T., Falk, D. A., Westerling, L., Swetnam, T. W., Bigio, E., & Hall, M. H. (2016, January). Historical pyrogeography of western North America, 1600-1900 AD . International AmeriDendro, Mendoza, Argentina. Lynch, A. M., O'Connor, C. D., Wilcox, C. P., & Falk, D. A. (2016, September). Disturbance regime changes during the period of fire exclusion in high-elevation forests of the Pinaleño Mountains, Arizona: Characterization and management implications . School of Forestry, Departmental Seminar. Flagstaff, AZ: Northern Arizona University. Maghran, L. A., Falk, D. A., Malusa, J. R., & Archer, S. R. (2016, November). Resilience and recovery from two large fires in the Santa Catalina Mountains . AFE Southwest Conference. Tucson, AZ: Association for Fire Ecology (AFE). Minor, J. J., & Falk, D. A. (2016, November). Ecological trajectories following multiple mixed-severity fire events in pine-oak and mixed conifer forest types in a Sky Island mountain range . AFE Southwest Conference. Tucson, AZ: Association for Fire Ecology (AFE). O'Connor, C. D., Falk, D. A., Garfin, G. M., Sheppard, B. S., & Treanor, F. (2016, March). Engagement through partnership: Connecting climate change adaptation to base management priorities . Multi-Project workshop, US Department of Defense, Strategic Environmental Research and Development Program (SERDP),. Tucson, AZ: Institute of the Environment and Center for Climate Adaptation and Solutions (CCASS), University of Arizona..
Sutherland, E. K., Wright, D. K., Arbellay, E., Stoffel, M., Falk, D. A., & Smith, K. T. (2016, March). Comparison of fire-caused injuries in three North American conifers: how and why they vary. . Third American Dendrochronology Conference (AmeriDendro 2016). Mendoza, Argentina: Tree Ring Society. Thode, A. E., Falk, D. A., Loehman, R. A., Friggens, M., & Evans, A. (2016, November). Landscape Impacts of Fire and Climate Change in the Southwest: A Science-Management Partnership . AFE Southwest Conference. Tucson, AZ: Association for Fire Ecology (AFE). Webb, A., Falk, D. A., & Fisher, L. A. (2016, November). Fire in Lowland Riparian Ecosystems of Chihuahuan, Sonoran, and Mojave Desert Ecoregions: A Literature Review and Information Gap Analysis . AFE Southwest Conference. Tucson, AZ: Association for Fire Ecology (AFE). Williams, E. C., Falk, D. A., & van Mantgem, P. J. (2016, November). Prescribed fire can increase multi-species, regional-scale resilience to increasing climatic water deficit . AFE Southwest Conference. Tucson, AZ: Association for Fire Ecology (AFE). van Mantgem, P. J., & Falk, D. A. (2016, April). Fighting drought with fire: Can forest management increase resistance to drought? Adapting to a hotter, drier future . Webinar for the California LCCC. Webinar: California Landscape Conservation Cooperative. van Mantgem, P. J., Falk, D. A., Williams, E. C., Das, A. J., & Stephenson, N. L. (2016, November). Does prescribed fire promote forest resistance to drought? . AFE Southwest Conference. Tucson, AZ: Association for Fire Ecology (AFE). Falk, D. A. (2015, April). “Megafires, climate change and the future of Southwestern forests.” . Briefing and alumni event. Phoenix, AZ: Arizona Republic and the University of Arizona School of Journalism. Falk, D. A. (2015, January). From restoration to resilience ecology: Can (and should) we make this shift? . University of Arizona Herbarium Seminars. University of Arizona Herbarium: University of Arizona Herbarium. Falk, D. A. (2015, July). From restoration to resilience ecology: Rapid ecosystem shifts are triggered by interactions of landscape disturbance and climate change . International Association for Landscape Ecology, Annual Meeting. Portland, OR: International Association for Landscape Ecology. Falk, D. A. (2015, May). FireScape: Managing for forest resilience in the Sky Islands . Continuing Legal Education: Wildfire seminar. Tempe, AZ: Arizona State University Law School. Falk DA. FireScape and the future of Arizona’s forests. Arizona Continuing Legal Education Seminar, Phoenix. Invited. 7-8 May. Falk, D. A. (2015, October). From restoration to resilience ecology: Will interactions of landscape disturbance and climate change trigger rapid ecosystem shifts (And what can we do about it?)? . Biennial Conference of Science & Management on the Colorado Plateau and the Southwest. Flagstaff, AZ: Northern Arizona University. Falk, D. A., & Minor, J. A. (2015, April). Fire effects and ecological trajectories following multiple mixed-severity fire events in an Arizona Sky Island . AAG Annual Meeting. Chicago, IL: Association of American Geographers. Lynch, A. M., O'Connor, C. D., Falk, D. A., & Wilcox, C. (2015, April). Abies concolor invasion in the Pinaleño Mountains . Seminar Series, Laboratory of Tree-Ring Research. University of Arizona: Laboratory of Tree-Ring Research. van Mantgem, P., & Falk, D. A. (2015, October). Workshop: Fighting drought with fire: Can forest management increase resistance to drought? Identifying information gaps for adapting to a hotter, drier future. . Biennial Conference of Science & Management on the Colorado Plateau and the Southwest. Flagstaff, AZ: USGS/Northern Arizona University. Arbellay, E., Stoffel, M., Sutherland, E. K., Smith, K. T., & Falk, D. A. (2014, January). Fire scarring affects wood formation in North American conifers: anatomical evidence from tracheids, rays and resin ducts. . Dendro 2014: 9th International Conference on Dendrochronology. Melbourne, Victoria, Australia: International Tree-Ring Society. Falk, D. A. (2014, December). From restoration to resilience ecology: Can (and should) we make this shift? . Udall Center Fellow Seminar. Tucson, AZ: Udall Center for Studies in Public Policy. Falk, D. A. (2014, February). Fire and Climate in Arizona’s Forests: Past, Present, and Future . White Mountains Land TrustWhite Mountains Land Trust. Falk, D. A. (2014, February). Keynote: A resilience ecology framework for southwestern forests: Ecosystem shifts, landscape disturbance and climate change . Fostering Resilience in Southwest Ecosystems: A Problem-Solving Workshop. Tucson, AZ: Southwest Fire Science Consortium. Falk, D. A. (2014, January). Desde la restauración a la resiliencia ecológica . Taller Perspectivas actuales de resiliencia en el contexto de la restauración ecológica y la adaptación al cambio climático. Valdivia, Chile: Center for Climate and Resilience Research, Universidad Austral de Chile. Falk, D. A. (2014, January). FireScape Science: Developing the basis for forest restoration in the Sky Islands . Briefing for US Forest Service, Regional Forester. Coronado National Forest. Falk, D. A. (2014, January). Forests, fire, and climate change: What are the prospects for resilient ecosystems in northern New Mexico . New Mexico PBS Science Café. Albuquerque, NM: New Mexico PBS. Falk, D. A. (2014, January). Monument Canyon Research Natural Area . Briefing for Santa Fe National Forest Supervisor's Office, Rocky Mountain Research Station, and USFS Regional Office. Albuquerque, NM. Falk, D. A. (2014, May). Applying resilience ecology to fire and landscape management: Ecosystem shifts, landscape disturbance and climate change . WebinarSouthwest Fire Science Consortium. Falk, D. A. (2014, May). Beyond conservation: The arc bends toward resilience ecology . International Symposium: From the Freezer to the Landscape, Leading Plant Conservation into the Future. Minnesota Landscape Arboretum, Minneapolis, MN: Center for Plant Conservation. Falk, D. A. (2014, October). Arizona Forests: Past, Present, Future. . AG 100 Council Meeting. Phoenix, AZ: College of Agritulature and Life Sciences, University of Arizona..
Heyerdahl, E. K., Loehman, R. A., & Falk, D. A. (2014, April). Mixed-severity fire in lodgepole-dominated forests: A unique fire regime on Oregon’s Pumice Plateau. . Fire Ecology and Management in Forested Systems, Central Oregon Fire Science Symposium. Central Oregon Community College, Bend, OR: Central Oregon Fire Science Symposium and Oregon Prescribed Fire Council. Burns, I. S., Sidman, G., Guertin, D. P., Sheppard, B. S., Goodrich, D., Falk, D. A., Thoma, D., Canfield, E., Korgaonkar, Y., Clifford, T. J., & Kepner, W. (2013, August). The Automated Geospatial Watershed Assessment Tool (AGWA) 3.0: Applications for Fire Management and Rapid Post-fire Watershed Assessment. . Chapman Conference Synthesizing Empirical Results to Improve Predictions of Post-wildfire Runoff and Erosion Response.. Estes Park, CO: American Geophysical Union (AGU). Falk, D. A. (2013, December). From restoration to resilience ecology: Rapid ecosystem shifts, landscape disturbance and climate change . American Geophysical Union (AGU), Fall Meeting. Moscone Conference Center, San Francisco, CA: American Geophysical Union (AGU). Falk, D. A. (2013, February). Fire Regimes of the West: Past, Present, and Future . Departmental Seminar, School of Natural Resources and the Environment. University of Arizona. Falk, D. A. (2013, February). Keynote: Forests and Fire Regimes of the Southwest: Past, Present, and Future . Annual Meeting, SW Society of American Foresters. Willcox, AZ: SW Society of American Foresters. Falk, D. A. (2013, May). Plenary Presentation: Post-fire ecosystem resilience in a changing world . Sky Islands Annual Meeting. Tucson, AZ: Sky Islands Alliance. Falk, D. A. (2013, November). Scenario Planning for Arizona Forests: Past, Present, and Future . Arizona Climate Scenario Workshop. Show Low, AZ: School of Natural Resources and the Environment, College of Agriculture and Life Sciences, University of Arizona. Falk, D. A. (2013, October). Arizona's Forests: Past, Present, and Future . Congressional Briefing, Arizona Delegation. UA Health Maricopa County Cooperative Extension Center, Phoenix: University of Arizona, College of Agriculture and Life Sciences. Falk, D. A., & González, M. (2013, November). Dance of the Continents: Fire and Climate in North and South America . Living With Nature, Tucson Audubon Society. Pima Community College: Tucson Audubon Society. Falk, D. A., O'Connor, C. D., Lynch, A. M., & Swetnam, T. W. (2013, May). Spatial and temporal interactions between Spruce beetle outbreaks, fire, and climate in a remnant isolated spruce-fir forest . AmeriDendro: Second American Dendrochronology Conference. Tucson: Tree-Ring Society. Falk, D. A., Swetnam, T. W., Bigio, E., Hall, M. A., Velasquez, E., Kitzberger, T., Brown, P. M., & Sutherland, E. K. (2013, May). A new North American fire scar network for reconstructing historical pyrogeography . AmeriDendro: Second American Dendrochronology Conference. Tucson, AZ: Tree-Ring Society. Lynch, A. M., O'Connor, C. D., Falk, D. A., Wilcox, C. P., & Swetnam, T. W. (2013, February). 1660 to 2010: Origin and nature of the Pinaleno high elevation forests. . Regional Meeting, Southwest Society of American Foresters,. Willcox, AZ: Southwest Society of American Foresters. Lynch, A. M., O'Connor, C. D., Falk, D. A., Wilcox, C. P., & Swetnam, T. W. (2013, June). Unstable times: fire, insect, climate, and human interactions in Arizona's Sky Island forests. . Rocky Mountain Research Station, Leadership Team. Flagstaff, AZ: USDA Forest Service, Rocky Mountain Research Station. Margolis, E. Q., & Falk, D. A. (2013, November). Variability in fire regimes among forest types in northern New Mexico . Fire and Forests in northern New Mexico: A Community Workshop. Santa Fe Community College, NM: Southwest Fire Science Consortium. Margolis, E. Q., & Falk, D. A. (2013, November). Variability in fire regimes among forest types in northern New Mexico . Fire, forests, and climate change in northern New Mexico: A public workshop. Santa Fe Community College: The Nature Conservancy of New Mexico, and Southwest Fire Science Consortium. Marshall, L. A., Falk, D. A., & Margolis, E. Q. (2013, May). A spatial analysis of fire history across adjacent watersheds . AmeriDendro: Second American Dendrochronology Conference. Tucson: Tree-Ring Society. Sagarin, R. D., Falk, D. A., Garfin, G. M., Weiss, J., McNeil, S., Haworth, A., Khosa, R., & Overpeck, J. (2013, May). Climate Change Impacts to Department of Defense Installations . Briefing for Naval Base Coronado. Naval Base Coronado, Coronado, CA: Department of Defense. Sidman, G., Guertin, D. P., Goodrich, D., Falk, D. A., Thoma, D., Burns, S., & Korgaonkar, Y. (2013, March). Modeling Approach to Gauge the Effect of Fuel Treatments on Post-fire Hydrological Response. . George Wright Society Conference on Parks, Protected Areas, and Cultural Sites,. Denver, CO: George Wright Society. Sutherland, E. K., Falk, D. A., Brown, P. M., & Velasquez, E. (2013, May). FHAES: The Fire History Analysis and Exploration System . AmeriDendro: Second American Dendrochronology Conference. Tucson, AZ: Tree-Ring Society. Sutherland, E. K., Farella, J., Wright, D. K., Hyp, I., Falk, D. A., Arbellay, E., & Stoffel, M. (2013, May). External charring and fire scarring in three western conifers . AmeriDendro: Second American Dendrochronology Conference. Tucson: Tree-Ring Society. , . C., , P., Yocom, L., Villanueva-Diaz, J., & Falk, D. (2012, February). Thick-billed parrot (Rynchopsitta pachyryncha: Psittacidae) habitat in northwestern Mexico is associated with fire regimes in old growth forests . Association for Fire Ecology. Santa Fe. , P., Yocom, L., , . C., Falk, D., Cerano, J., & , J. (2012, February). Association for Fire Ecology. Santa Fe. Conver, J., Falk, D., Yool, S., & Parmenter, R. (2012, February). Stochastic modeling of fire regimes in montane grasslands and forest ecotones of the Valles Caldera National Preserve, New Mexico, USA . Association for Fire Ecology. Santa Fe. Dewar, J., Falk, D., Allen, C., Parmenter, R., & Swetnam, T. (2012, February). Multi-scale analysis of fire regimes in montane grassland-forest ecotones of the Valles Caldera National Preserve, New Mexico, USA . Association for Fire Ecology. Santa Fe. Dewar, J., Falk, D., Parmenter, R., Allen, C., & Swetnam, T. (2012, December). Multi-scale analysis of fire regimes in montane grassland-forests of the Valles Caldera, New Mexico, USA . Association for Fire Ecology. Portland, OR. Falk, D. (2012, April). Are Madrean ecosystems approaching tipping points? Interactions of landscape disturbance and climate change . Biodiversity and Management of the Madrean Archipelago Conference. Tucson, AZ. Falk, D. (2012, April). Panelist and Respondent, Healthy Headwaters Workshop . Panelist and Respondent, Healthy Headwaters Workshop. Phoenix, AZ. Falk, D. (2012, April). Resilience and Restoration in a Changing World: The Dilemma of Restoration Ecology . School of Forestry, Northern Arizona University. Flagstaff, AZ. Falk, D. (2012, December). How do rapid ecosystem shifts triggered by interactions of severe landscape disturbance and climate change our thinking about ecological restoration? . Association for Fire Ecology. Portland, OR. Falk, D. (2012, December). Recovery and Resilience in Southwestern Ecosystems . Arizona Senior Academy. Falk, D. (2012, February). Similarity analysis in fire history . Workshop in Fire History. Association for Fire Ecology. Santa Fe. Falk, D. (2012, January). Fire, ecosystems, and resilience in a changing world . Society for Range Management (AZ). Tucson, AZ. Falk, D. (2012, March). Resilience and Restoration in a Changing World: The Dilemma of Restoration Ecology . SNRE/OALS, Israeli delegation visit. Falk, D. (2012, May). From restoration to resilience ecology: New models for a changing world . International Conference on Climate Adaptation. Tucson, AZ. Falk, D. (2012, May). How Can Paleoenvironmental Data Inform Adaptation? . International Conference on Climate Adaptation. Tucson, AZ. Falk, D. (2012, October). Fire, Recovery and Resilience in Southwestern Ecosystems . Research Insights in Semiarid Ecosystems(RISE). Falk, D. (2012, October). From restoration to resilience ecology: New models for a changing world . College of Science, Oberlin College. Falk, D. (2012, October). From restoration to resilience ecology: New models for a changing world . EcoSummit Conference. Columbus, OH. Falk, D. A. (2012, December). FireScape: Landscape Management in a Changing World . Sabino Canyon Visitors' Center, Coronado National Forest: Deputy Secretary of the Interior; Regional Forester; Coronado National Forest Leadership Team. Falk, D. A. (2012, December). Long-term studies and restoration at Monument Canyon Research Natural Area . Desired Future Condition Field TourUS Forest Service, Southwest Region. Falk, D., & Betancourt, J. (2012, April). Monitoring Resilience and Restoration in a Changing World . National Forest Health Monitoring Workshop. Tucson, AZ. Falk, D., Heyerdahl, E., & Loehman, R. (2012, December). Understanding climate drivers of past regional-fire years across scales in central Oregon . Association for Fire Ecology. Portland, OR. Falk, D., Loehman, R., Overpeck, J., Thode, A., & Swetnam, T. (2012, August). Rapid ecosystem shifts are triggered by interactions of severe landscape disturbance and climate change in the southwestern US . 97th Annual Meeting, Ecological Society of America. Portland, OR. Falk, D., Swetnam, T., Bigio, E., Hall, M., Kitzberger, T., Brown, P., & Sutherland, E. (2012, February). Reconstructing the historical pyrogeography of western North America, 1600-1900 AD . Association for Fire Ecology. Santa Fe. Falk, D., Swetnam, T., Kitzberger, T., Sutherland, E., Brown, P., Bigio, E., & Hall, M. (2012, December). A new North American fire scar network for reconstructing historical pyrogeography, 1600 to 1900 A.D . Association for Fire Ecology. Portland, OR. Gebow, B., & Falk, D. (2012, February). Landscape fire science and management in a changing world . Association for Fire Ecology. Santa Fe. Kitzberger, T., Falk, D., Westerling, A., & Swetnam, T. (2012, February). Climate and snowpack interactions regulate annual area burned across western North America . Association for Fire Ecology. Santa Fe. Malusa, J., Laing, J., Falk, D., & Gebow, B. (2012, April). Mapping Ecological Systems from the Ground Up in Southeastern Arizona . Biodiversity and Management of the Madrean Archipelago Conference. Tucson, AZ. O'Connor, C., Lynch, A., & Falk, D. (2012, December). Alternate realities: forest and fire dynamics in a 20th century with and without fire suppression . Association for Fire Ecology. Portland, OR. O'Connor, C., Lynch, A., & Falk, D. (2012, December). Association for Fire Ecology. Portland, OR. O, C. C., Falk, D., Lynch, A., & Swetnam, T. (2012, April). University of Arizona Laboratory of Tree-Ring Research Lecture Series. O, C. C., Lynch, A., Falk, D., & Swetnam, T. (2012, March). Memorial Scholarship Award Presentation, Western Forest Insect Work Conference 63rd Meeting. Penticton, BC. O, C. C., Lynch, A., Wilcox, C., & Falk, D. (2012, February). Fire, climate, and human influences of forest dynamics along an elevational gradient . Association for Fire Ecology. Santa Fe. O, C. D., Falk, D., Lynch, A., Swetnam, T., & Wilcox, C. (2012, May). Biodiversity and Management of the Madrean Archipelago Conference. Tucson, AZ. Towne, G., Yool, S., & Falk, D. (2012, February). Using remote sensing to model fuel moisture stress for Sky Island forests . Association for Fire Ecology. Santa Fe. Dewar, J., Falk, D., Allen, C., Parmenter, R., Baisan, ., & Swetnam, T. (2011, April). Fire History of Montane Grasslands and Ecotones of the Valles Caldera, New Mexico, USA . Annual Meeting, International Association of Landscape Ecology. Portland, OR. Falk, D. (2011, January). Resilience ecology: New models for landscape restoration in a changing world . Southwest Climate Change Adaptation Workshop. Abuquiu, NM: US Forest Service. Falk, D. (2011, November). Ecosystem disturbance, resilience, and restoration . Laboratory of Tree-Ring Research, University of Arizona. Tucson, AZ. Falk, D. (2011, October). Ecosystems at tipping points: lessons and opportunities in the 2011 fire season . Critical Zone Observatory. Falk, D. A. (2011, December). BioBlitz . BioBlitzSaguaro National Park and National Geographic Society. Falk, D. A. (2011, December). Climate change and ecological resilience . Adapting to a Changing Climate: A Workshop for Land and Resource ManagerSky Islands Alliance. Falk, D. A. (2011, December). FireScape: Landscape Ecosystem Management in the Sky Islands . Coronado National Forest, Tucson, AZ: Chief, US Forest Service and Region 3 Leadership. Falk, D. A. (2011, December). Lessons of the 2011 Fire Season . Chiricahua Heritage Days. Rodeo, NM/Portal, AZ: Wildlands Network. Falk, D. A., & Fisher, L. (2011, December). Landscape Fire Management Statewide Partnership Meeting, SNRE . Landscape Fire Management Statewide Partnership Meeting, SNRE. Falk, D., & Gebow, B. (2011, September). The landscape ecology of fire in the Sky Islands . SNRE Large Landscape Conservation Seminar. Falk, D., Sutherland, E., Velasquez, E., & Kitzberger, T. (2011, April). Multiscale Analysis of Synchrony in Dendrochronology . Annual Meeting, Association of American Geographers. Seattle, WA. Marshall, L., Falk, D., & McDowell, N. (2011, April). Ecophysiological response of ponderosa pine to changes in fire regime and stand density . Annual Meeting, International Association of Landscape Ecology. Portland, OR. O'Connor, C. D., Lynch, A., Falk, D., & Wilcox, C. (2011, April). Fire and tree demography in a Sky Island mountain range. . Annual Meeting, Association of American Geographers. Seattle, WA. O, C. C., Falk, D., Lynch, A., Swetnam, T., Loehman, R., & Wilcox, C. (2011). Disturbance interactions on an Arizona Sky Island . University of Arizona Institute for the Environment Grad Blitz. Heyerdahl, E. K., Littell, J. S., Pederson, G. T., Falk, D. A., & Loehman, R. A. (2016, Fall). Assessing climate and fine fuel drivers of historical (1670-1900) regional fire years in central and eastern Oregon . 2016 Mountain Climate Conference. Leavenworth, WA: CIRMOUNT. O'Neil, L., Williams, E. C., & Falk, D. A. (2016, Spring). The response of tree growth to mixed severity prescribed fires in Bryce Canyon National Park . Southern Arizona Science and Engineering Fair (SARSEF). Tucson: SARSEF. Student poster for senior honors project, Tucson Magnet High School (M. Wilch, Instructor). Sheppard, B. S., O'Connor, C. D., Falk, D. A., & Garfin, G. M. (2016, December). Modeling Climate Change Impacts on Landscape Evolution, Fire, and Hydrology (AGU Abstract #67659) . American Geophysical Union, Annual Meeting. San Francisco, CA: American Geophysical Union. Swetnam, T., Lynch, A., Falk, D. A., Yool, S. R., & Guertin, D. P. (2014, Fall). Discriminating Natural Variation from Legacies of Disturbance in Semi-Arid Forests, Southwestern USA . AGU Fall Meeting. San Francisco: AGU. Arizpe, A., & Falk, D. A. (2013, May). Fire History in Madrean Sky Islands . AmeriDendro: Second American Dendrochronology Conference. Tucson: Tree-Ring Society. Lynch, A. M., O'Connor, C. D., Swetnam, T. W., & Falk, D. A. (2013, March). Using dendrochronology to characterize forest insect outbreak regimes. . Bryant Bannister Tree-Ring Building Dedication and Public Open House. University of Arizona: Laboratory of Tree-Ring Research. Poster presentation and laboratory presentations at the Bryant Bannister Tree-Ring Building Dedication and Public Open House, Laboratory of Tree-Ring Research, to approx. 1200 visitors. Conver, J. L., Falk, D. A., Parmenter, R., & Yool, S. R. (2011, April). Stochastic Fire Modeling of a Montane Grassland and Ponderosa Pine Fire Regime in the Valles Caldera National Preserve, New Mexico, USA. . Annual Meeting, Association of American Geographers. Seattle, WA: Association of American Geographers. Dewar, J. J., Falk, D. A., Allen, C. D., Parmenter, R., Swetnam, T. W., & Baisan, C. H. (2011, April). Fire History of Montane Grasslands and Ecotones of the Valles Caldera, New Mexico, USA. . Annual Meeting, Association of American Geographers,. Seattle, WA: Association of American Geographers. Marshall, L. A., Falk, D. A., & McDowell, N. (2011, April). Ecophysiological response of ponderosa pine to changes in fire regime and stand density. . Annual Meeting, Association of American Geographers. Seattle, WA: Association of American Geographers. Falk, D. A. (2016. Review of Fire on Earth: An Introduction. AC Scott, DMJS Bowman, WJ Bond, SJ Pyne, and ME Alexander, Wiley Blackwell, 2014(pp 91: 76-77). Oxford, UK. Swetnam, T. L., & Falk, D. A. (2015. Fact Sheet: Carbon Cycling in Southwestern Forests: Reservoirs, Fluxes, and the Effects of Fire and Management(pp 1-2). Garfin, G. M., Falk, D. A., Jacobs, K., Haverland, A., Weiss, J. L., & O'Connor, C. D. (2017, Spring). Climate Change Impacts and Adaptation on Southwestern DoD Facilities. Final Report of Project RC-2232 to the US Department of Defense Strategic Environmental Research and Development Program (SERDP). US Department of Defense Strategic Environmental Research and Development Program (SERDP). Garfin, G. M., Falk, D. A., Jacobs, K. L., Haverland, A. C., & Christopher, O. (2016, June). Response to 2016 In-Progress Review: Connecting Short-and-Long-Term Decisions for Climate and Fire Impacts. SERDP Project RC-2232 for the Strategic Environment Research and Development Program (SERDP). This white paper addresses the aforementioned requests, by explaining the methodologies used by the RC-2232 team, and by giving examples from our interactions with Department of Defense installations in the southwestern United States. From the team’s perspective, the issues raised in points (a) and (b), above, are related. Consequently, there is some redundancy in our responses. Also, for further details about the science and interactions described in our case studies, we have attached three reports related to our work on connecting near-term and long-term management decisions, through research on climate-fire connections related to the installations (O’Connor et al. 2015; 2016a; 2016b). O'Connor, C. D., Falk, D. A., Lynch, A. M., Wilcox, C. P., Swetnam, T. W., & Swetnam, T. L. (2013, Summer). Technical Report: Growth and Demography of Pinaleño High Elevation Forests. RJVA 07-JV-11221615317. Rocky Mountain Research Station, Ft. Collins, CO..
Sheppard, P. R., & Falk, D. A. (2013, May). Conference Field Trip: The Santa Catalina ecological gradient. AmeriDendro: Second American Dendrochronology Conference. Mitchell, B., Walterman, M., Mellin, T., Wilcox, C. P., Lynch, A. M., Anhold, J., Falk, D. A., Koprowski, J., Laes, D., Evans, D., & Fisk, H. (2013, Summer). Technical Report:Mapping vegetation structure in the Pinaleño Mountains using LiDAR – Phase 3: forest inventory modeling. RSAC-10007-RPT1. 17 pp.. U.S. Department of Agriculture, Forest Service, Remote Sensing Applications Center. Salt Lake City, UT..
Falk, D. A. (2011, August). Burns, Re-burns, and Ecological Trajectories. CLIMAS/IE Press Briefing. Falk, D. A. (2011, March). Lessons of the 2011 Fire Season. 2011 CLIMAS/IE Press Briefing. Falk, D. A. (2011, May). 2011 Interview with Zohra Yaqub. University of Arizona School of Journalism. Falk, D. A. (2011, September). Lessons Learned from the 2011 Fire Season. Arizona Weekly, KUAT. Falk, D. A. (2010, Fall). MATRIX, SEA, JOIN. Falk, D. A., Cox, C., McKinnon, T., Rosenberg, E., Siderits, K., & Swetnam, T. W. (2010, Fall). Fire on the Landscape: Planning for Communities, Fire, and Forest Health. Technical Report of the Arizona Forest Health Advisory Council, Office of the Governor. Laes, D., Mellin, T., Wilcox, C. P., Anhold, J., Maus, P., Falk, D. A., Koprowski, J., Drake, S., Dale, S., Fisk, H., Joria, P., Lynch, A. M., & Alanen, M. (2009, Summer). Technical Report: Mapping vegetation structure in the Pinaleño Mountains using LiDAR. RSAC-0118-RPT1. 84 pp.. U.S. Department of Agriculture, Forest Service, Remote Sensing Applications Center. Salt Lake City, UT..